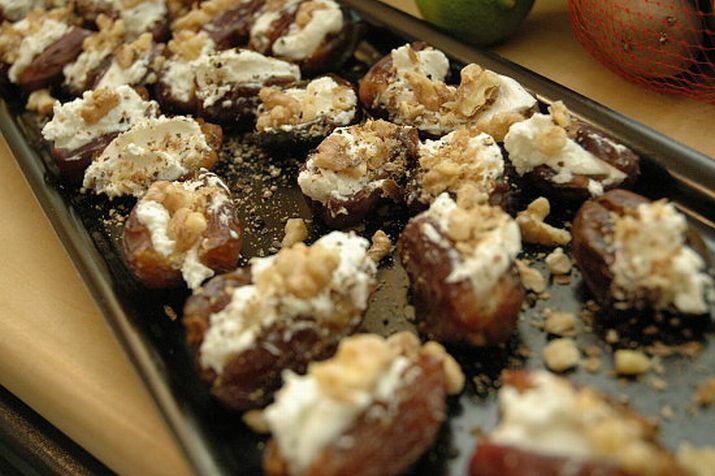 Need to make a quick appetizer? 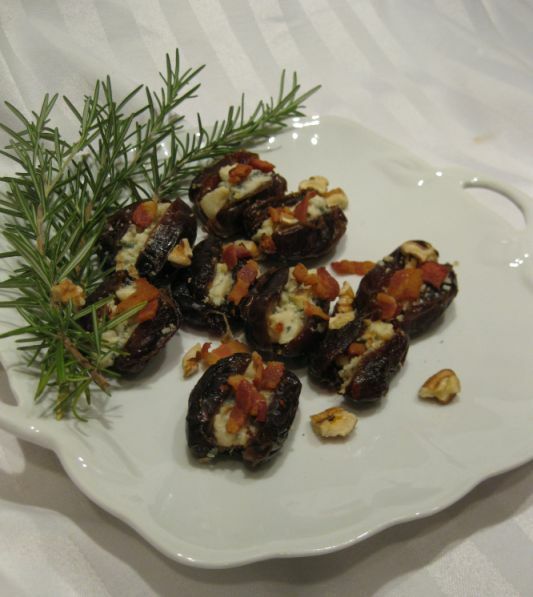 Warm dates with gorgonzola cheese, bacon bits and toasted walnut is the perfect dish to serve when you do not have a lot of time! 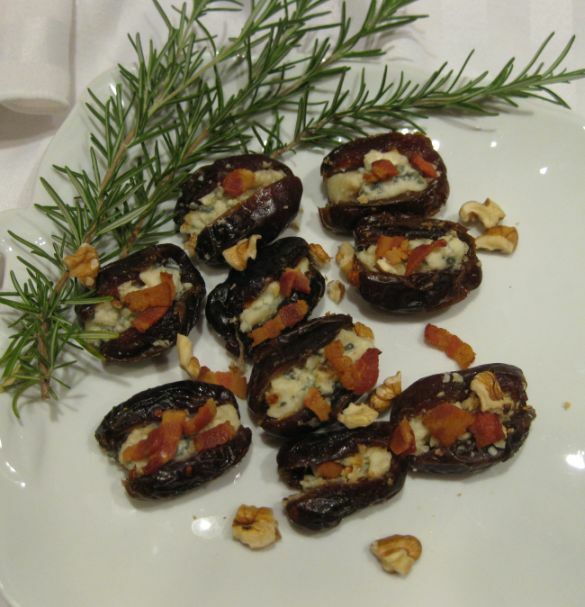 This dish is from Spain and it is serve as a tapas dish. 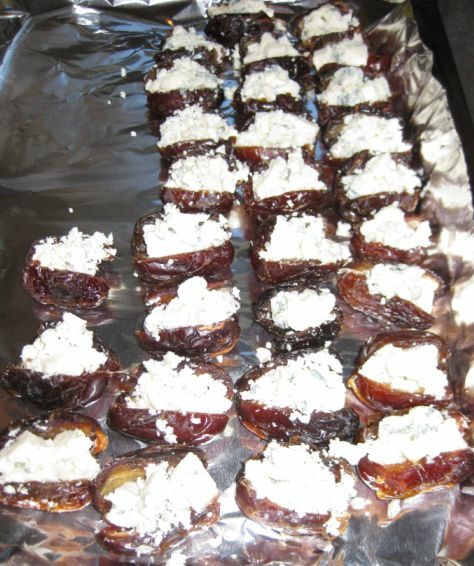 What I like about this dish is it is different. 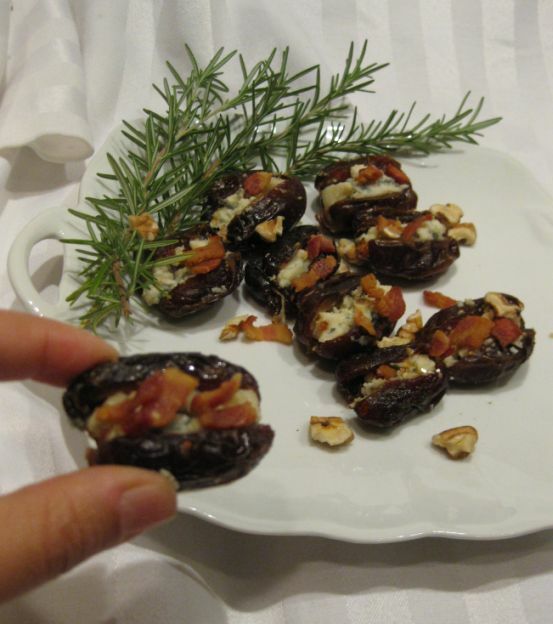 When you bite into it, you get the sweetness and chewiness from the dates and then the melting cheese is oozing out, then the crunch from the bacon bits and the toasted walnut. 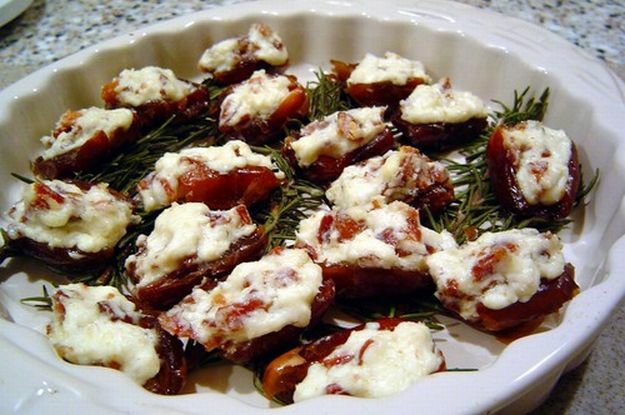 Try this appetizer and you will like it. 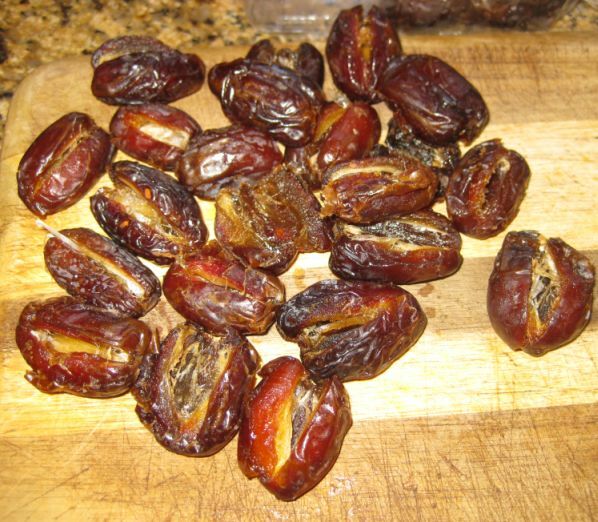 Any dish that has bacon bits is good for me. 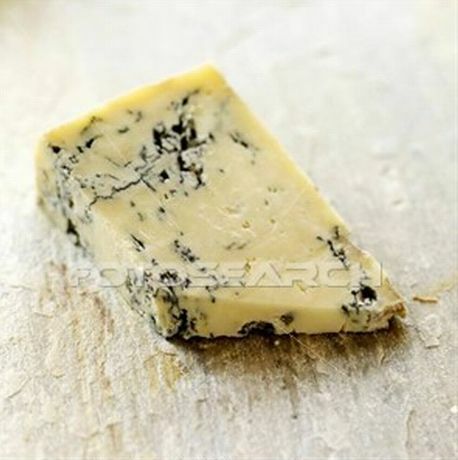 Remove the gorgonzola cheese from the refrigerator and let it sit for about 15 minutes so it is easier to crumble it. 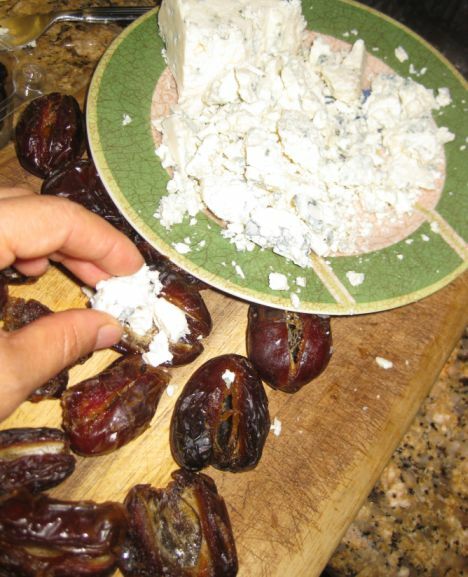 Fill each date with about 1 teaspoon of the cheese. 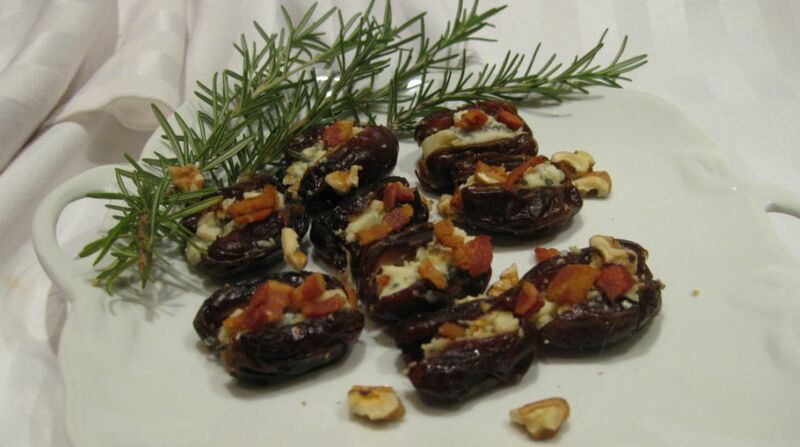 Remove the dates from the oven and sprinkle the bacon bits and toasted walnut over them.